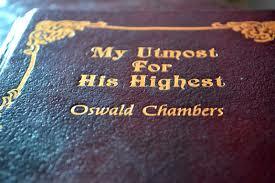 Oswald Chambers wrote the classic book, ” My utmost for His Highest. ” Christians need to “Go for the Gold of God’s Kingdom” and offer God our very best. In the Olympic games athletes go for the gold! The overcoming athletes stand on the ‘podium’ , victorious. They receive their medals of Gold, Silver and Bronze. The Christian believer too is engaged in a spiritual Olympic games! Will we be rewarded in heaven? Yes. The scriptures clearly teach that there are degrees of reward for the Christian. God wants all of us to enter into our eternal destiny with golden crowns of glory and great rewards, Part one mentions how we should be ” investing with gold” in God’s kingdom. The question of will we be rewarded in heaven will depend upon our faithfulness in serving the Lord diligently, First Corinthians chapter 3, encourages us all to build our lives on the only foundation Jesus Christ with precious materials. These are spiritually, gold, silver and precious stones. The Christian’s temptations in trials help in the same way to perfect and strengthen in running this Olympics. A very powerful passage illustrating the Christian growth and development in love, excellence, patience and endurance as he or she undergoes trials of all kinds is found in the second epistle of Peter. A clear ” ladder of virtues ” is displayed – leading finally to the ability to love with the deep divine ‘ agape love’ of Christ. These 3 AUDIO sermon snippets ( based on 2 Peter 1: 1 to 11) illustrate these truths of how we can ” Go for the gold” as we follow the Lord and serve him and seek to offer the utmost for His Highest. 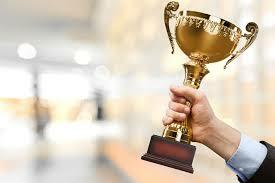 How To Be A Winner In God’s Kingdom – God’s Word shows us clearly how to be a winner. It very skilfully documents how we can co-operate with God as he forges in our lives one spiritual virtue on top of another- until we come to Christian maturity. One virtue builds upon another as by God’s grace we progress in self control. to endurance, Christ-likeness so that we can finally manifest the deep divine love of Jesus our savior! 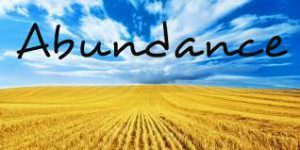 Audio 3 – what Is an Abundant Life? The timeless Christian classic book ” My Utmost For His Highest” can be purchased from my book store for only $5,49 (£ 4.23) . All profits are ploughed back into my missions and gifts tho the poor and third world. By Oswald Chambers, edited by James Reimann / Discovery House timeless favorite—priced to share! Offering scriptural truths in the language of today’s generation, this bestseller has led millions to a deeper walk with God. Shedding fresh light on the Bible, this compact edition of Chambers’s classic devotional also includes subject and Scripture indexes and a brief biography from David McCasland. 416 pages, 4.25″ x 6.75″ softcover from Discovery.